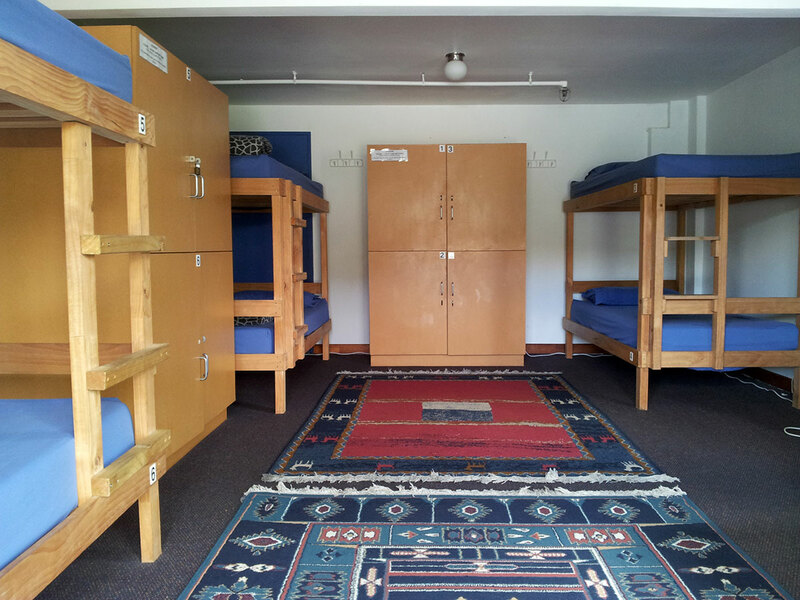 Spacious bunk style dorm room with shared bathrooms. Rooms are heated, lockable and non-smoking. All bed linen is provided. Individual luggage lockers. Room capacity 7-9 persons. All guests share well equipped kitchens (3), lounges (2), balcony, gardens and BBQ areas. Free Wifi, tea & coffee, games, book library and tennis. Coin operated laundry facilities.